Travis Kimmel talks with Kevin Goldsmith about the correspondence between organizational design and software architecture. 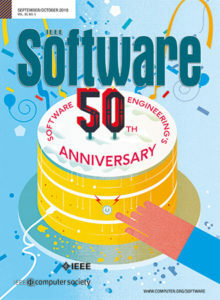 Their conversation covers: what Conway’s Law is; Kevin’s experiences in different organizational structures (e.g., Avvo, Spotify, Adobe, and Microsoft) and how those structures influenced the software architecture; what the “Reverse Conway Maneuver” is and how organizations can leverage it; how organizations can evolve existing architectures. I really enjoyed this episode and sent it out to all my dev associates and 120+ meetup members. I’m in an early planning-stage group for a new 20+ year high-energy physics experiment involving 3-4 national labs and thought carefully during the entire episode how Conway’s Law will apply to an organization/software architect not yet formed. Its a fascinating thought, I’m keeping this episode on my phone for future listens, clarity and guidance. Thanks! Very very interesting episode. It really go me thinking about how our architecture resembles our organisation. I do however wonder if practices like proces and system ownership and ISO-standardisation emphasises this pattern.